Alamo's initial development occurred between 1902 and 1909 when partners Peter Blalock and George Hawkins bought 32,000 acres. The future town was platted in 1908 and the railroad depot was initially named Ebenezer (Blalock's middle name). Before Ebenezer had a chance to grow, the partners sold out to the Alamo Land and Sugar Company (1909). At this point one might think that the name of the town was changed to Alamo, but the community (now called Camp Ebenezer) was moved above the flood plain of the Rio Grande. The Alamo Townsite Company was formed to sell lots. When a post office opened in 1909, the name submitted was Forum, but it was later changed to C. Swallow, Texas, after townsite officer C. H. Swallow. The town was incorporated in the mid-1920s although the population was only 200 for the 1925 census. By 1936 the town had grown to over a thousand residents. 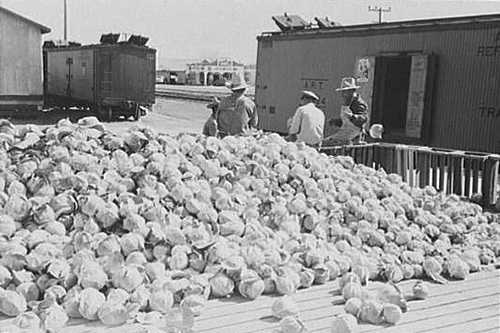 Like many of it's neighbors in the Rio Grande Valley, Alamo was a shipping point for citrus crops and vegetables. From a 1940 population of less than 2,000, it has increased over the years to the current 14,760.